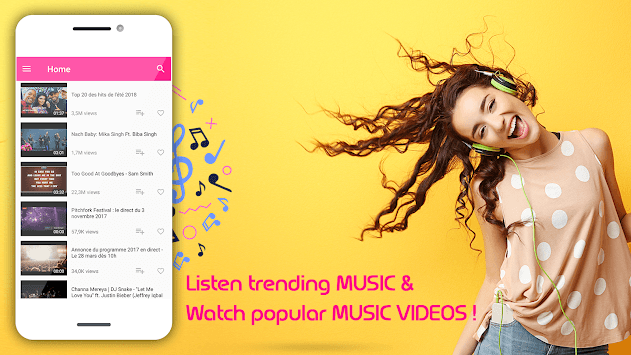 Download free music player and enjoy the most trending music videos! 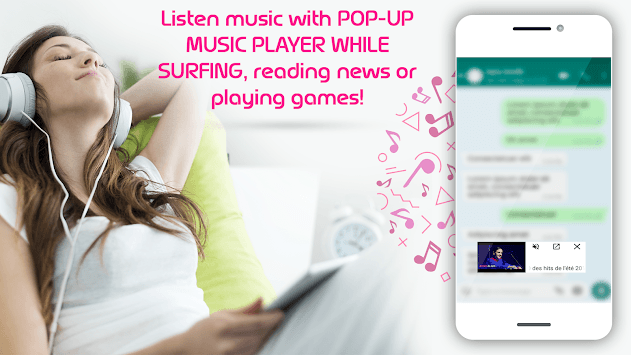 * Listen music while reading the news, playing a game, or surfing on the web with small pop-up music player! 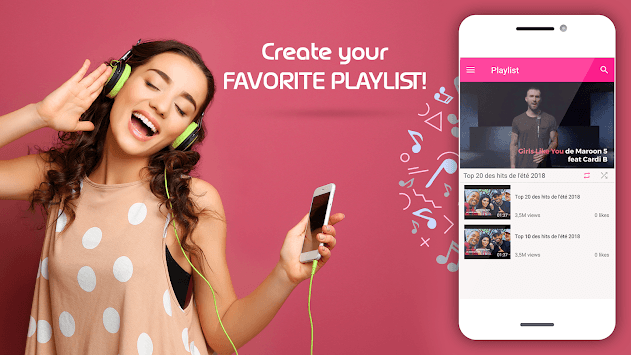 Notice: That is a 3rd party music and video player application with legal usage of 3rd party free APIs. This app does not owned by any other company or application. Thank you for using my application! Enjoy music!